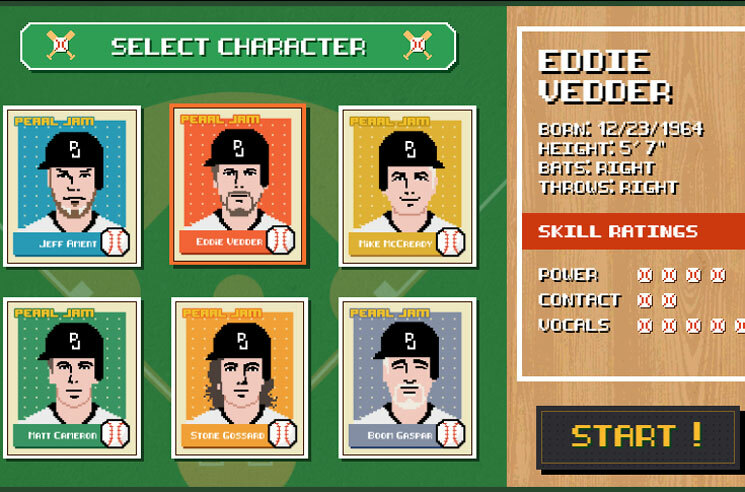 Pearl Jam delivered their Let's Play Two live album and accompanying film earlier this year, and while Major League Baseball may not currently be in season, the band have now released an 8-bit game to celebrate their baseball fandom and their latest release. In the band's "Home Run Hitting Contest," you can pick your favourite Pearl Jam member to step to the plate and mash dingers far into the outfield. The game was inspired by the band's 2016 performances at Wrigley Field in Chicago. As previously reported, Let's Play Two was directed by Danny Clinch and brings together "the music, the sweat and the eternal hopes of being both a Cubs fan and Pearl Jam fan." Let's Play Two is available now and can be streamed in its entirety here.